On Wednesday a new exhibition opened at the City Museum of Ljubljana called EXPERIMENT: MOBILE! Mobile photography − from phone to exhibition. These are pictures captured on the streets of Ljubljana and published on Instagram. 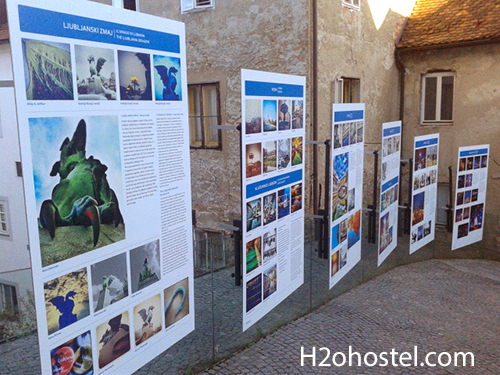 We are proud to announce that it includes some H2o hostel photographs from our Instagram channel. The exhibition will be open till 30 September 2013 and has texts in Slovene, English and Italian. This entry was posted in Events, H2ostel Blog, Ljubljana and tagged Art, Instagram, Ljubljana, Photograph, Photography, Slovene language, Slovenia. Bookmark the permalink.